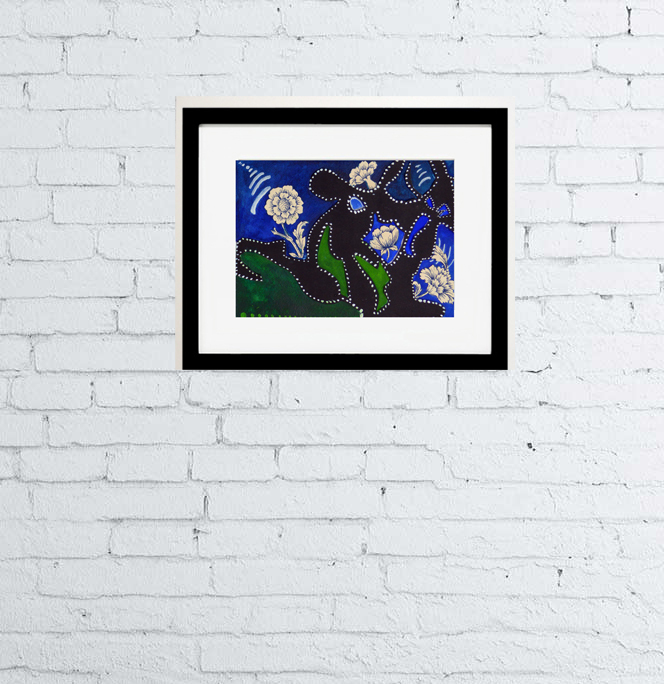 This 5″ x 7″ watercolor collage is very elegant. The black plant shadows are linocut printed, cut out and pasted to 300 lb arches watercolor paper. 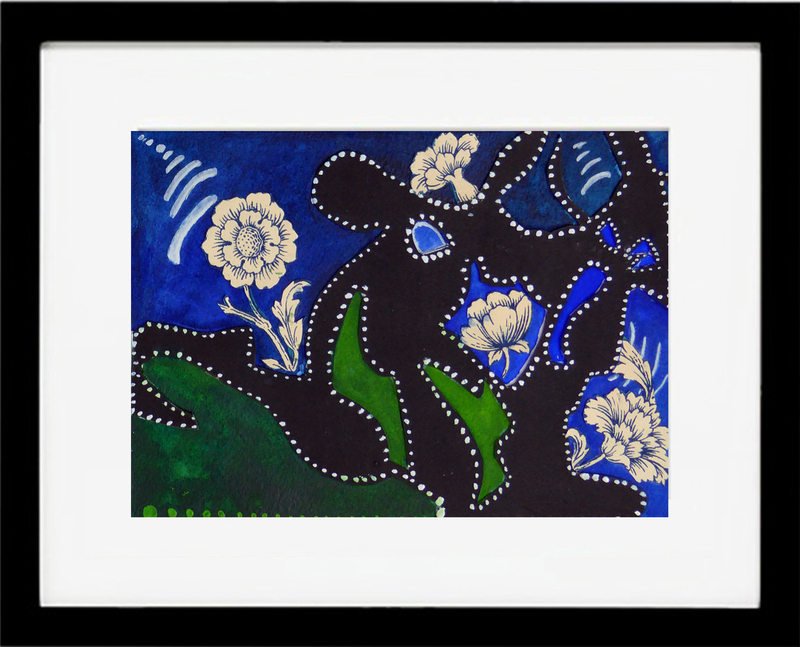 The blue flowers are hand cut antique Italian printed paper. 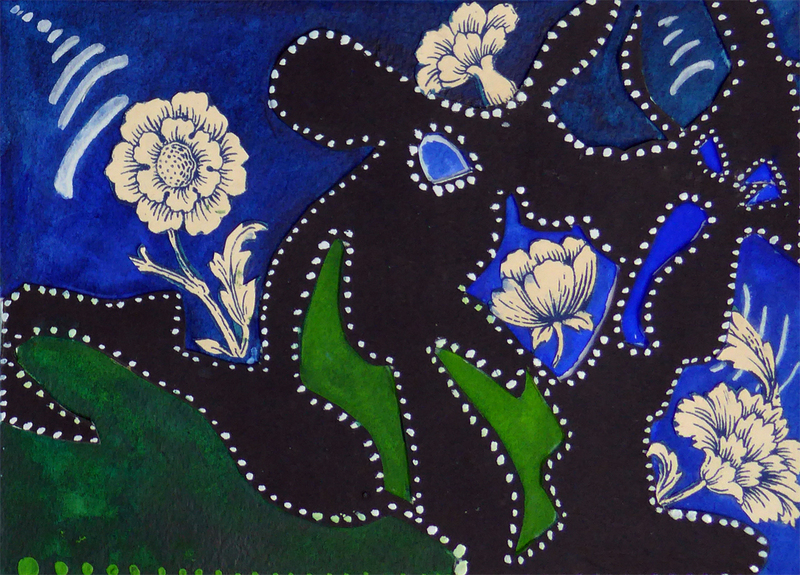 The remaining blue, green and white are hand drawn layers of undulating color with my favorite Schmincke super high quality natural gums, water-soluble pigments. I love how either frame brings out it’s own unique characteristics. It is bold and dynamic. Since it is an original artwork there is only one of them. 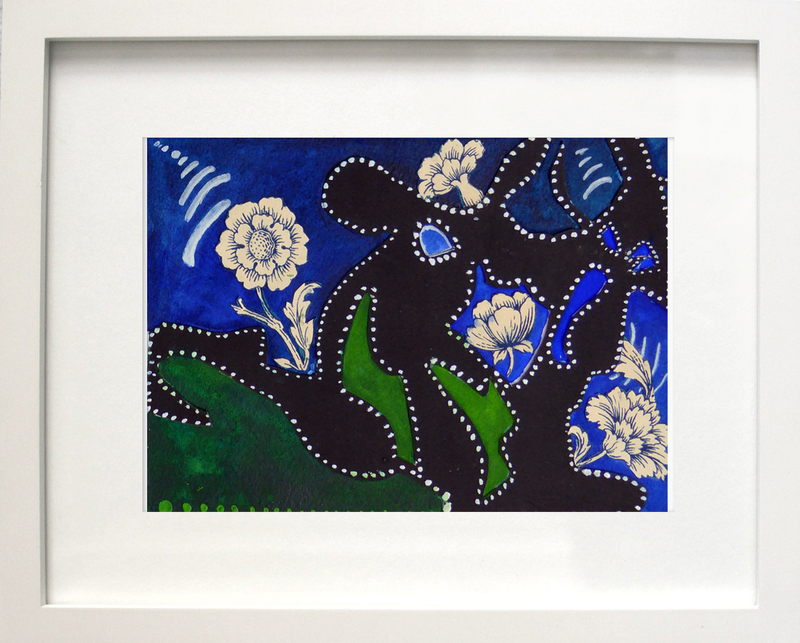 An original 5″ x 7″ watercolor collage from the heart of northern New Mexico! I am bringing you along on an sensational art challenge of creating one watercolor drawing linocut collage a day. It is now on Etsy for $47.